To clean upholstery/lounge suites, the Ultra Clean Melbourne professional team use a similar process to that of carpet cleaning. Your lounge suites will be left clean, soft and ready to sit on once more. The results will amaze you! To begin, the Ultra Clean Melbourne team can do a pre-vacuum of the seats. Then, unlike other cleaning companies, Ultra Clean Melbourne will do a pre-stain treatment of the whole seats first rather than just a spot clean. Spot cleaning is ineffective in the sense that it often leaves the treated areas looking cleaner than the rest of the seats, creating an uneven look. 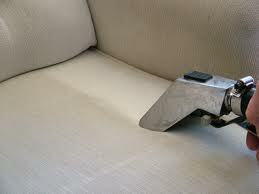 A test is done on the reverse side of your upholstery to ensure no running or fading will occur on the fabric. After the stain treatment, the upholstery/lounge suite is given a thorough Deep Steam Clean (Not just hot water) Ultra Clean Melbourne have a special upholstery tool these smaller wands are used to clean lounge suites to ensure the up most care is taken when cleaning your furniture. 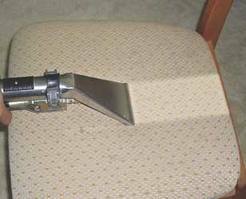 By using our state of the art upholstery tool they ensure we can’t over wet your fabric, the tool is designed in such a way that there is no over spray of steam ensuring all excess water is sucked up into the machine, this is important on upholstery because over wetting can cause water marks to appear, these sort of marks are hard to remove even for a professional cleaner, we also reduce the risk of over wetting by using our state of the art machines. The Ultra Clean Melbourne team uses our up to date products to remove dirt and oils from within the seats. Your seats will be left free of any cleaning products and residues, it is the safest and most hygienic way to leave your upholstery/lounge suites. Our final process is to Deodorise and Neutralise your upholstery to leave them with a long lasting freshness. Ultra Clean Melbourne recommendes that your upholstered furniture be cleaned at least every 12 months to keep the furniture hygienically clean. Upholstery furniture is one of the most expensive items in our homes, it is the Ultra Clean Melbourne Team’s years of experience that knows how to look after and clean your furniture. Whether you are just wanting a freshen up or thinking of throwing out the old lounge, give us a call, you’ll be amazed at how well your lounges will look after we have finished with them! The Ultra Clean Melbourne upholstery cleaning will treat all Cotton, Velvet, Indian Cotton, Micro Suede, Wool and many more common fabrics. We also clean all Leather Suites as well.